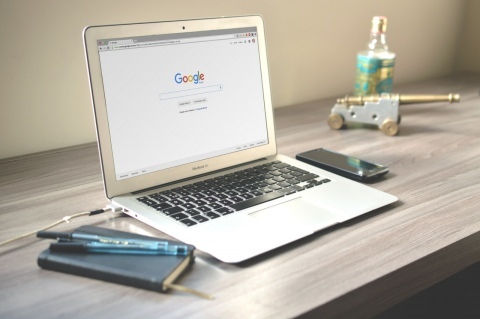 Often called SEO or Search Engine Optimisation, our Google optimisation service is designed to fine-tune your website so that Google finds it easier to understand and as a result, easier to be found as relevant in searches done by people on Google. We work with customers to define a series of expected search phrases that you would like to be found on Google for such as "Waikato Pond Liners" for example. We then prepare and tweak the content of your website and make suggestions to modify the content of the website to be more relevant to these phrases. 1. Increase your chances of being found in Google for what you do, not just who you are? 2. New customers don't know about you, they need what you do or sell, and to do that you first need your listing on Google to be effective. Can we guarantee to get you to number one on Google? No! ..... Nobody can; they don't run Google. Since 2005 we have built a solid reputation for our search engine optimisation services and have a proven track record, with an average of over 95% of the sites we are actively submitting to Google being found in the top ten results for what they do, not who they are. Getting your site into Google is like spinning a plate on a stick. It takes skill and experience to get it up there, and continued effort to keep it where you want it, that is why there is an on going fee, for our ongoing support and advice. Once started, we monitor and report back to you, suggest changes and tweaks to your site on an ongoing basis so that your site remains search engine AND human-friendly. Your position in Google and other search engines are checked weekly for progress. Google AdWords is the number one digital product in the world. It is extremely effective and when managed correctly can provide clients with a superb and quantifiable return on investment. We would work closely with you to refine and manage your Google AdWords campaigns. This product needs constant monitoring and reviewing to have it working successfully, and we would work closely with you to create an effective, working campaign that drives strong and relevant traffic to your website. We have our sister company (based in our building) Website Angels who are fully Google Adwords accredited. This means we know the best practise techniques to get the best results form your advertising budget.